Carolyn A. Wilkins was appointed Senior Deputy Governor for a term of seven years beginning 2 May 2014. In this capacity, she oversees the Bank’s strategic planning and economic and financial research. As a member of the Bank’s Governing Council, she shares responsibility for decisions with respect to monetary policy and financial system stability. Ms. Wilkins also oversees the Bank’s analysis of international economic developments in support of monetary policy decisions. She is a member of the Bank’s Board of Directors. Ms. Wilkins is the Bank of Canada’s G20 and G7 Deputy. She represents the Bank on the Financial Stability Board (FSB) Plenary and is a member of the FSB’s Standing Committee on Assessment of Vulnerabilities. She is also a member of the IMF’s High Level Advisory Group on FinTech. 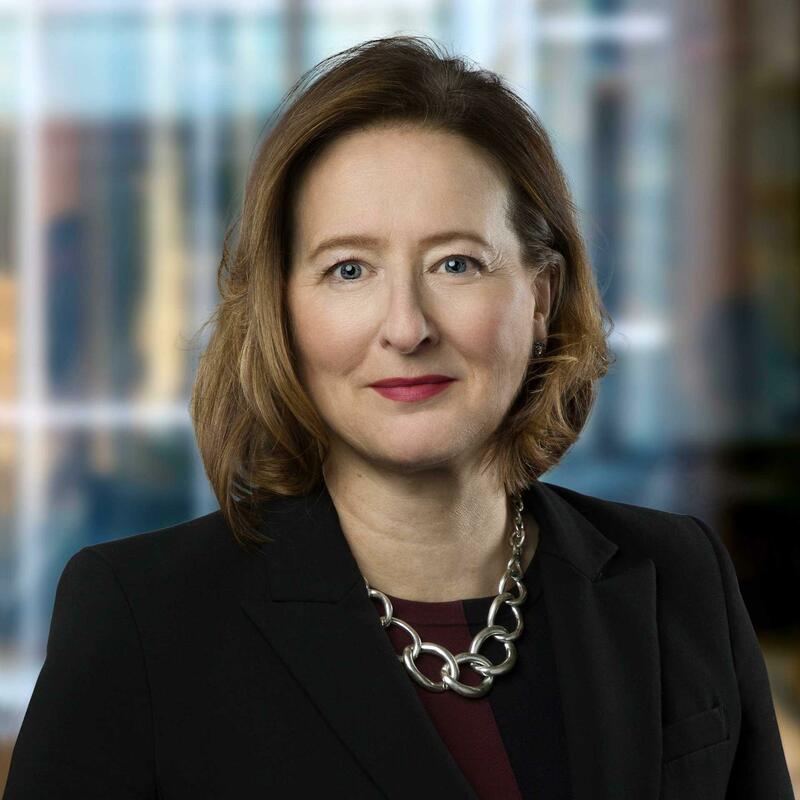 She previously represented Canada on the Basel Committee on Banking Supervision (BCBS) and co-chaired the BCBS Working Group on Liquidity. Prior to her appointment as Senior Deputy Governor, Ms. Wilkins was Advisor to the Governor, with a focus on the Canadian economy, its interaction with the financial system, and monetary policy. From 2011 until 2013, Ms. Wilkins was Managing Director of the Bank’s Financial Stability Department. In this role, she led the Bank’s research and analysis of financial system issues in Canada and abroad, including the ongoing assessment of risks to financial system stability. She was also responsible for oversight of systemically important payment, clearing and settlement systems. Previously, as Deputy Managing Director of the Financial Markets Department, she led the development and implementation of extraordinary liquidity tools and collateral policy deployed during the financial crisis. Prior to joining the Bank in 2001, Ms. Wilkins held senior analytical roles related to economic forecasting and fiscal policy development, at both the Department of Finance Canada and the Privy Council Office. Ms. Wilkins was born in Peterborough, Ontario. She holds an Honours BA in Economics from Wilfrid Laurier University and an MA in Economics from the University of Western Ontario. She was named as a winner of Canada’s Most Powerful Women: Top 100 Award by the Women’s Executive Network in 2016 and 2018. From a central banking perspective, the monetary landscape 10 to 15 years from now could look radically different than it does today. This paper explores some important research and policy questions for a central bank regarding cryptoassets. Wilkins, C. (with G. Tkacz). 2008. “Linear and Threshold Forecasts of Output and Inflation with Stock and Housing Prices,” Journal of Forecasting, Vol. 27, Issue 2, pp. 131-151. Committee on the Global Financial System Study Group on Cross Border Funding (C. Wilkins member of Study Group.) 2010. “The functioning and resilience of cross-border funding markets”. CGFS Paper No. 37. Wilkins, C. 1998. “Youth and the 1990s Labour Market,” Department of Finance Working Paper No. 98-08. Wilkins, C. (with F. Lee and S. James). 1992. “Estimating Trend Total Factor Productivity Growth in Canada,” Department of Finance Working Paper No. 92-03. Wilkins, C. (with M. Albert). 1989. “Closed Economy Analysis of the Dynamics of Deficits and Debt in a Unitary and Federal State,” Department of Finance Working Paper No. 89-01.